Here is a preview of the Eastern Conference semifinals. Season series: Each team won a game in overtime. Ukko-Pekka Luukkonen made 45 saves in the Wolves’ loss and 25 saves in their win. The 67’s had the highest offensive output in the opening round, scoring 5.75 goals per game. Tye Felhaber and Austen Keating combined for 81 goals during the regular season. Hamilton held both without a goal, but Ottawa flashed their depth by getting 11 of their 23 goals from Graeme Clarke, Mitchell Hoelscher and Noel Hoefenmayer. One of the things that Ottawa did to prepare for the second round was hold onto a three-on-three tournament. Quinton Byfield led all 16-year-old rookies with three goals and seven points in four games in the first round. The Wolves swung their goal differential by 142 between last season and this season. They allowed 94 more goals than they scored in 2017-18. Sudbury was plus-48 this season. The Wolves won 40 games for the first time since 1994-95. Their leading scorer that year was Zdenek Nedved. He is now 44 years old and has been retired from hockey since 2010-11. Sudbury has relied on excellent goaltending from Luukkonen all season. He was put to the test and he passed when he helped Finland win the World Hockey Championship. This is his latest and perhaps greatest test of the year. If the future Buffalo Sabre can keep his team in games against all of Ottawa’s depth and firepower, then Sudbury has a shot. Ottawa needs their big guns like Felhaber and Keating to produce like they did in the regular season. Season series: Oshawa won in overtime and Niagara won 6-2. After the deadline: The series was over by Dec. 15, well before their final rosters were set. The IceDogs goalie had three shutouts in the five-game series Niagara played against North Bay. He made 23, 20 and 27 saves and yet only ranks fourth in playoff save percentage behind Kyle Keyser, Anthony Popovich and Luukkonen. Jason Robertson led all players with 33 shots on goal in the opening round, averaging 6.6 per game. Robertson was the early OHL season leader in shots on goal prior to his trade to the IceDogs. He finished sixth overall in shots in the regular season. Former General Jack Studnicka enters the series as Niagara’s leading playoff scorer. Anthony Salinitri had the game-winning goal in three of the four Generals victories against Peterborough. He had six game winners in the regular season out of the 48 goals he scored for Oshawa and the Sarnia Sting. Keyser is the only goalie left in the post-season with an offensive point. He assisted on a goal in the Generals’ series-clinching win. Jacob Ingham of the Mississauga Steelheads was the only other goalie to pick up an assist in Round 1. 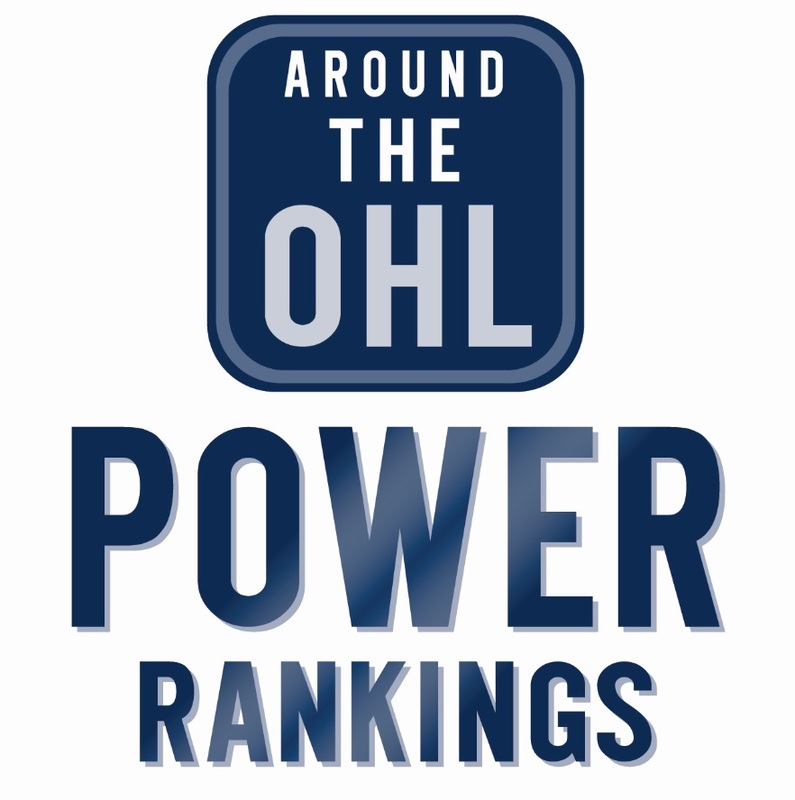 Generals defenceman Mitchell Brewer tied for the first-round lead with Nikita Okhotyuk in plus/minus with a plus-9. Brewer played in five games. Okhotyuk played in four. The Generals made moves for the present and the future leading up to the trade deadline and then went 20-6-1 (with one remaining) after it. These teams made an interesting trade near the deadline. The Generals dealt two excellent veterans for youth and draft picks from the IceDogs and now have to face former teammates Studnicka and Matt Brassard. Youngster Lleyton Moore also meets his old Niagara teammates. That deal illustrated expectations at the time. The IceDogs believe this is their year. Oshawa is content to contend but also has a very bright future. That makes this Niagara’s series to lose. Tags: Niagara IceDogs, OHL Playoffs, Oshawa Generals, Ottawa 67's, Sudbury Wolves. Bookmark the permalink.